Raspberry Pi mini computers tend to attract different types of user, all of whom are interested in making the friendly little computer as useful as possible. It doesn’t have to be about media centres The Easiest Raspberry Pi Media Centre, With RasPlex The Easiest Raspberry Pi Media Centre, With RasPlex Read More and making an old printer wireless Make Your Own Wireless Printer With A Raspberry Pi Make Your Own Wireless Printer With A Raspberry Pi Fewer cables, flexibility about where you can put your printer – wireless printing is a win-win. Unless you have an older printer. Raspberry Pi to the rescue! Read More ; there is so much more that the Raspberry Pi can do, such as running motors, and acting as the crucial brain for a larger project. 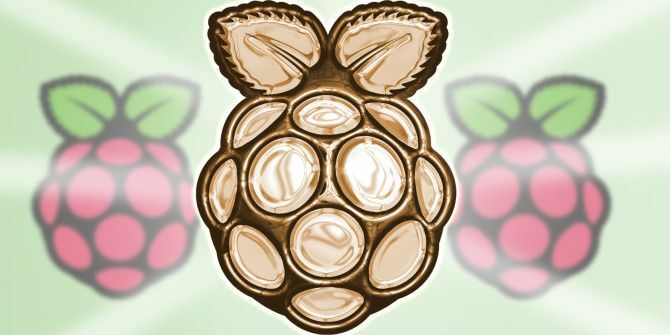 We’ve previously looked at five expansions that make the Raspberry Pi even more useful Five Great Raspberry Pi Expansions That Make It Even More Useful Five Great Raspberry Pi Expansions That Make It Even More Useful Your Raspberry Pi is versatile and at times amazing, but are you harnessing the full power of that little box? Power-up your Pi with these 5 expansions! 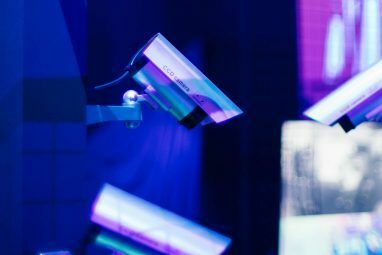 Read More , so here is a further quintet that can prove vital for your Pi-based project’s success–or might spark a new project idea entirely. Perhaps the developers intentionally omitted the feature due to their aim of providing a miniature computer for children to learn computer science skills with rather than electronics, but the Pi doesn’t come out of the box with the ability to read analog sensors. Naturally, a solution exists, in the shape of an ADC chip. The analog to digital converter chip adds eight analog inputs to your Pi on a small breadboard, using just four GPIO pins (it works on SPI). Used in conjunction with analog data components, the ADC (such as the MCP3008, $3.75 from Adafruit) enables the Raspberry Pi to handle projects that you might otherwise rely on an Arduino for–such as light dependent resistors, infrared reflectance sensors, responding to audio with a suitable mic, and more. Among the many sensors that you can buy for the Raspberry Pi, the Infra-Red remote sensor is particularly popular. Costing just $1.95 from Adafruit (and $4.95 for a suitable remote control, though any household remote should also work with a little customization) this is the perfect addition to a Raspberry Pi media centre or any Pi-based project that you may need to control via remote. Meanwhile, if you’re looking for an IR motion sensor, you’ll find one at ModMyPi. To control motors with a Raspberry Pi requires some extra hardware, namely the $50 PiBorg PicoBorg Reverse. 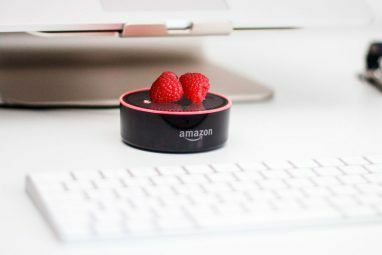 If you’re interested in any sort of robot or vehicle support, or perhaps a motor-based home automation device, then this component is vital. The board operates on standard I2C protocol, which uses just two GPIO pins plus power, and has its own expansion pins to enable daisy-chaining with other PicoBorg or I2C devices. 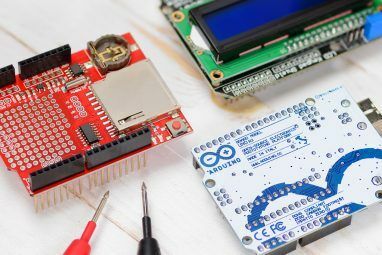 The board comes with a mounting kit to aid in connecting to the Pi (so you can still access other connectors), and some knowledge of Python is required for getting the most out of this very useful addition to your Raspberry Pi. 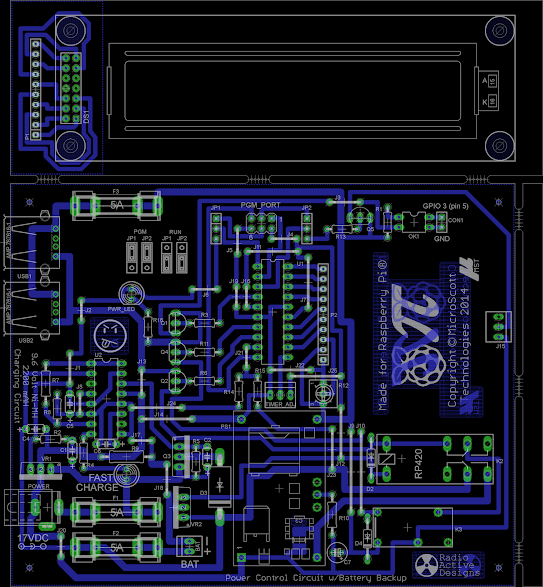 A vital addition to the Raspberry Pi A and B rev2 boards that have the old-style SD card slot. Sadly the design of this slot is imperfect, resulting in the inserted card protruding beyond the dimensions of the Raspberry Pi. As a solutions, the MicroSD adaptor is superb; it has a low profile and enables a microSD card to be inserted into the Raspberry Pi without the edge of the card sitting beyond the edge of the board. Inexpensive, you’ll find it available for around $8.43 from Adafruit, via Amazon. In most Raspberry Pi projects this probably isn’t a problem. However for those with custom-made cases (perhaps as part of a lightweight, slimline project) or if you just want your Raspberry Pi to look a bit tidier, these card adaptors are a must-have. They’re also a better fit than most standard microSD card adaptors, so if you use microSD rather than SD cards, that’s another good reason to contemplate one of these. That double row of pins on your Raspberry Pi’s GPIO header (26 on older models, 40 on the B+ and A+) might well stare at you intimidatingly out of the case, but it really doesn’t have to be this way. All you need is a low cost breakout board connected to the Pi to start connecting items such as chips (like the ADC chip) and other components directly to your Pi (you can even connect devices directly to the GPIO header, although via a breakout board makes more sense in most cases). Various sizes of boards are available, but they almost all ship with pins and cables.A good selection of breakout boards for Raspberry Pi users on varying budgets and with a range of project requirements can be found at ModMyPi.com [Broken Link Removed]. Over the course of two posts we’ve told you about 10 different components for your Raspberry Pi that can transform how you use the device. Now it’s your turn. Tell us what your favourite Raspberry Pi expansion card, sensor or component is, and how you have used it to develop your current project. Nice article, gives you much to think about. I've made extensive use of the PiFace board. Lately, I have been using the Sense-Hat. Please support our staff pick KS at ardhat.com! I've read too many horror stories of the dreaded "corrupt card" in the even of a power failure hence the UPS was born. I am currently working on a NAS system and a UPS would be ideal. I already have a small working prototype of a Home Automation System ran from a Windows PC and software I wrote. It started out using the parallel port and a program written in GW-BASIC (my age is showing) but then evolved to USB and Visual Basic. This is where the 24 channel SSR board above comes into play. I want to use my RPi to do the dirty work for Home Automation and free up my PC. I haven't made them yet, but I have my expansion boards designed. First is my Timed Pi UPS - a 9.6 volt, 2200mAh Ni-MH battery pack is maintained with a smart charging system with power feed through and is used to keep the Pi running in a power failure between 5 minutes to an hour. If power is returned within the selected time, nothing happens, otherwise the Pi is triggered into a safe shutdown using GPIO 3 (pin 5) and GND and the batteries disconnected to preserve them until power is restored. A LCD screen displays the current status and counts down during power failure. Next is my 24-Channel Solid State Relay board capable of 360 watts of control per channel or I can use a "one-of-six channel set" to run 2160 watts of control. All control is done via web page that I can change to suit my needs. Excellent stuff, Sparky! What projects are you using your Pi with which demands a UPS-type setup?